The power to summon the Dark Knight in the palm of your hand! Ok, not really of course but it's still fun to pretend. This is the assembly instructions and circuit construction for the Pocket Bat Signal Design I posted previous to this. If you haven't seen the design walk-through here's a brief intro as to what this project is. Designed for the 3D Design Contest (10/2012) it is a miniature (roughly 3"x3"x4") bat signal that can be 3D printed. It is designed in such a way that all the parts, excluding the circuit of course, can be acquired with two free prints from Instructables (if and when that program runs again) so that anyone can build their own, even if you don't own a 3D printer. It has a crank to change the angle of the barrel and is fully prepped for a LED circuit. More details can be found at the link above. 2/6/13: New .stl files with smooth curves on Step 1. Printed Pieces - The files are attached below. You need Smooth_Print_Block, which is everything but the barrel, and one of either Smooth_Print_OldSchool_Barrel or Smooth_Print_DarkKnight_Barrel, which are respectively the classic logo barrel and the current era logo barrel. The only difference between the two barrels is the logo. The file For Print.zip are the CATPart files of the two barrels and stacked parts. 1 power LED - You can of course use any color LED you choose but white or yellow fit the theme best. SPDT Center Off Switch - I went with a toggle because that's what I had, and toggles are cool. The SPCO switch allows for a circuit that can switch between battery and mains power. If you only want one of these then use a SPST. 1x 1+ watt resistor - The value of this resistor is set by (.5/LED Current). Mine is 1 Ohm, 1 watt. 1x TO-220 NFET - A heat sink is optional but recommended if available. DC Wall Transformer (Optional) - Minimum current = LED current and must meet NFET or LED array voltage requirements. Prototype Board (Optional) - Can help organize your LED array or driver circuit. Q-tip or Small Brush - This helps apply glue to tough to reach surfaces. Note: The original design was made for either a single power LED or 24 standard 5mm LEDs. This is why there are holes in the divider in the barrel. The single power LED is the only one discussed here because using multiple light sources prevents the projection from working. Using a power LED is not as daunting as it might seem but if you choose you can still use the standard LEDs. EDIT (2/6/13): The old .stl files have been replaced with new ones that have smoother curves. Now the barrel's and various radii will be smooth rather than the segmented prints you see in my pictures. Before we start working on the circuit there are a couple of things we can put together, but before that all the parts should be washed in warm water to remove dust and excess support material. A toothpick works well to clean holes and crevices. Use sandpaper and files to make sure all the pieces fit together and that parts that are supposed to move spin relatively freely. Start by taking the rubber mat and snapping the four posts into the holes in the base, this assembly will now be referred to as the base. If the mat was not specified as a flexible material or your printer doesn't have flexible materials you may need to file down the posts and glue it in place. Next push the small axle through the hole in the thicker tab on the cover, from the outside. The circuit I used is a basic constant current driver. I learned it from dan's great LED driver instructable, you can read all the details there as well as find a few other circuits that may suit your needs better if you're going off book. In the context of this project there are a couple of steps we have to take while building the circuit to make everything go together. I would recommend building a test version of the circuit on a breadboard just to make sure you have the right set of components. Once you understand the construction of the circuit you can start to build it onto the PCB. At this point you can attach everything but the LED. In this version I did not add a plug for a transformer but because of the switch used it is as simple as drilling a hole in the base and soldering the plug to the switch and V+ node in the circuit. With the rest of the circuit ready, place the LED into the barrel and feed it's wires through a couple of holes, giving them a twist on the backside to keep everything in place. Feed small gauge extension wires through the cover, small axle, and side of the barrel. Solder the extension wires into the proper places in the circuit. I used some splice clips I got a while back to make the final connection between the LED and extensions but any form of inline splice will work. Test, test, test. If everything is working properly it's time to button it all up. Close up the barrel by sliding and twisting the cap into place. Feed the switch through the hole in the base and use the provided panel nut to lock it in place. The cover will attach to the base in any orientation so think about where you want the switch in relation to the logo when it's in an upright position. I placed the switch in the back but the other positions are just as valid. Use screws to secure the cover. The big gear will be fixed to the barrel and spin free in the cover tab. Use glue to secure the large axle on the gear into the large receiver on the barrel. To get the the barrel and gear into place between the tabs you will have to put the small axle in place in the barrel and then bend the thin tab back until the large gear fits into the upper hole on the thin tab. Allow the glue to dry before moving on. Slide the small gear into place below the large gear and engage the teeth. Tilt the barrel and make sure the small gear turns. If everything is functioning glue the crank onto the shaft of the small gear. This is hopefully the first of, at least, a few iterations of this project. Below are some items I'm currently trying hard to work into the Mk. II, although it is likely that some of it will be pushed to a third, or higher, revision. Swappable Logos - Slide in different printed logos. Build your own logo - An extension of above but with clips that hold a cardboard logo you make yourself. Lens - The focal length of this barrel is pretty short. A lens will help extend that. Adjustable focus can come after a working lens. Mains power - The current circuit is ready for this but new versions will integrate it into the base as well. Automation - This is a ways down the road but using Arduino, or an Arduino compatible dev board, to add motorized motion and smartphone control is the ultimate goal. 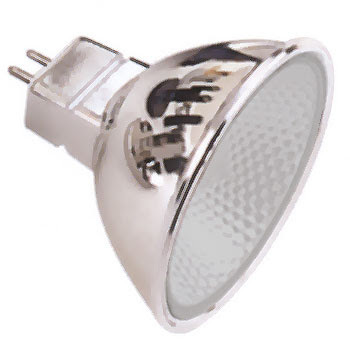 Heat Control - Power LEDs generate a lot of heat. Having provisions for heat dissipation will improve longevity and allow for longer up-times. General Improvements - Easier assembly, better model tolerancing, better print file quality, etc. A lot of this hinges on finding a good supplier for quick, cheap, 3D prints. If you've used a printing service that you can recommend please do so in the comments and thanks for reading! you could line the barrel with tinfoil, it would augment the light outpuit, and help with the light peeking through, but then, the sign wont be projected correctly again! you could print a parabola, and line it with foil in the next iteration, or, if it fits inside, use one of those halogen bulbs, carefully grinding the base to clear the actual halogen bulb and peek your led through. as for the heat, I would use one of the thin southbridge radiators you can find on motherboards, scavenge it from a dead one. If you dont like the color discreptancy, mask accordingly, and spraypaint! Thanks for the feedback and suggestions! When I make the Mk.2 it will be reprinted because there are features that need removed (standard LED holes), revised (wire pass through, etc), and added (some of the things I mention at the end). Because of this I'll be able to incorporate some of the things you mention, like provisions for a heat sink, into the new model, with out drilling or cutting. I have some reflectors for the LED I used but I think printing a parabola into the barrel, like you suggested, and then painting it with chrome paint is the most elegant solution. The one problem is that I'm trying to keep this as accessible as possible so any reflector features need to be easily accessible, or included in the print, and need to fit a wide variety of power LEDs. If Instructables ever does free prints again I have already designed and modeled a lens that should focus and narrow the beam and bring the focal point further away. If the lens works (the biggest question is how well the transparent printed material will work as a lens) then a reflector may not be necessary. As far as stopping the bleed-through on the barrel I think the next version will have thicker walls. Also the final product will be painted to look like an actual spotlight which will also serve to block some of the extra light. I didn't feel like taking the extra time and effort for something that is clearly a prototype. Besides it will help make the progression from prototype to final product clearer. those kind of lamps can provide the reflector to use in your project, and with a diamond, or an aluminium oxyde bit, and a dremel, you are set! This is so awesome it almost hurts. Great job and write up. Thanks. It's just to bad the free 3D prints have stop, at least for now, so you canl't build your own. Looks great, but in the items list you suggest that 24x5mm leds are also possible. Wouldn't that make "multiple shadows", causing quite a less distictive shadow? Yes, essentially it wouldn't really project, it would only light up. The array was in the original design because I thought dealing with a power LED might turn some people off of the project but after completing it I will only have provisions for the single source in all future versions. Thanks for the feedback, I'm going to change it up a bit to make that clearer.